The easiest way to join the program is to get in contact with us – we’ll provide materials and guidance every step of the way. Email Julie Norberg, Land & Rivers Fund Manager, info@landandrivers.org or call at 801-870-0891. Eagle Valley Land Trust (EVLT) and Eagle River Watershed Council (ERWC) together are Eagle County’s only non-profits exclusively focused on conserving and protecting rivers and open spaces for the benefit of the community. Together, we have launched the Land & Rivers Fund. EVLT and ERWC help local businesses to establish and promote the program to their customers & clients who voluntarily participate by making a 1% donation with their purchase. Customers and clients have the opportunity to opt-out of the program. The 1% donation and ability to opt out is clearly communicated to customers through promotional signage provided to you. Funds collected help promote and restore healthy rivers, clean water, conscientious development, preservation of open space, wildlife and fish habitat, agriculture, water rights, and economic diversity throughout the Valley. With your help, we anticipate great success! Once the program reaches $100,000 in annual revenue, a portion of the funds generated will be allocated to a grant program, which will be open to organizations and entities working on land and water conservation projects in Eagle County. A social media post announcing your business as a new supporter of the Land & Rivers Fund and an annual recognition post via social media. Listing and web link as a participating business on the Land & Rivers Fund webpages on both the Eagle Valley Land Trust and Eagle River Watershed Council websites. A Land & Rivers Fund thank you ad, listing each participating business, printed in local papers at least one time per year. 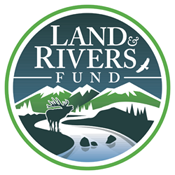 If desired by the business, the Land & Rivers Fund will arrange a check presentation one time per year. Usually, the corresponding photo is printed in the Vail Daily’s Town Talk and/or social media. The knowledge that you are helping to protect the waterways and special lands of the Eagle Valley! !